I have a little secret on getting perfectly matched ribbon, gems, and ink, but I may have to wait to share until it is my turn for the ScrapTiffany tutorial. 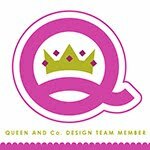 For now, head on over to ScrapTiffany and see the other fabulous creations. If you want to take the Cupcake Challenge, be sure to email it to Tiffany. 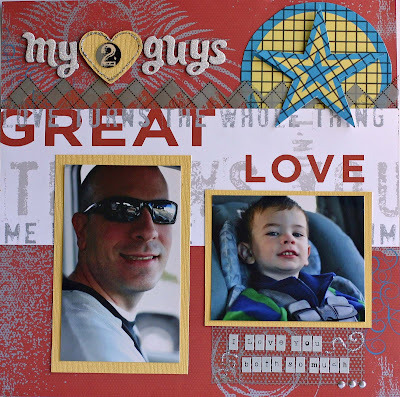 I have another few layouts to share from the Serendipity Scrapbooks April kit. The imagine title came in the kit. The chipboard was nice and soft so I ran it through my Cuttlebug and it embossed easily. Then I swiped it with some crackle paint. This is a pretty simple one, but I love layouts with just my guys on them. Honestly don't know what I would do without them. Really Cute cards and I love the layouts!! Happy Easter!! Great LO's gf!!! Those cards are too cute!!! Love that font! Mondays never seemed to bother me, even when I worked. They just flew by - it's Tues. that challenge me as they drag on for a whole week, it seems like. LOL!! Hope your day has gotten better! I loved these projects the moment I saw them! these are fantastic projects! I adore those cuppycake cards! 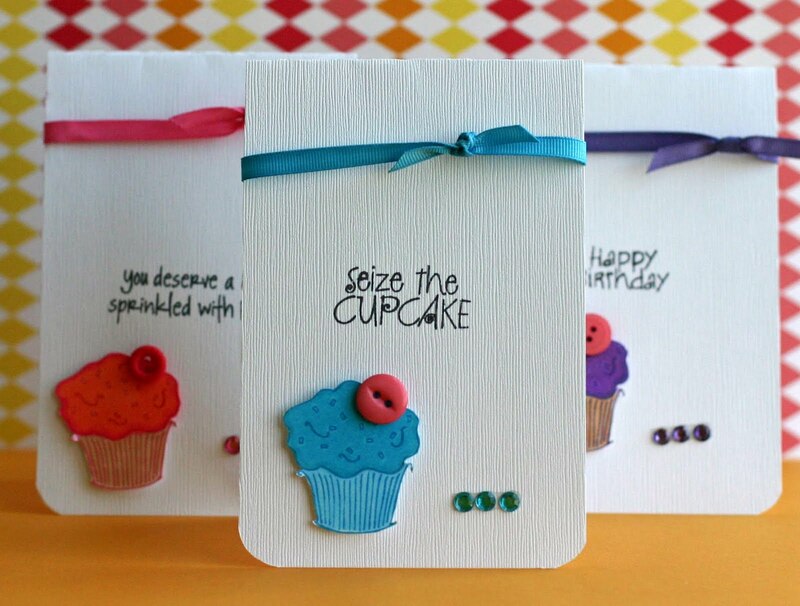 Oh yea, I looooove the cupcake cards! They are beautiful! And great layouts, too. Hope you survive until Friday, REbecca! I hate Monday's like that. Love your LO's and cards. 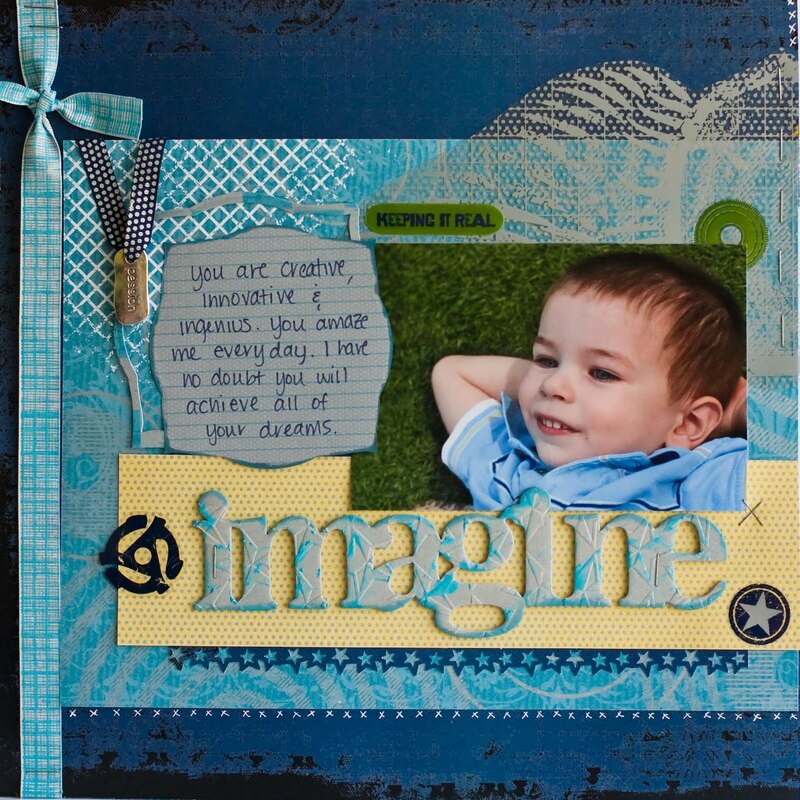 Good idea on running the chipboard title through the cuttlebug. I have a couple of those same titles.